SYDNEY, AUSTRALIA – Next February, Sullivan + Strumpf Sydney will present Richard Lewer’s Kokoda: The Adventure of a Life Time. 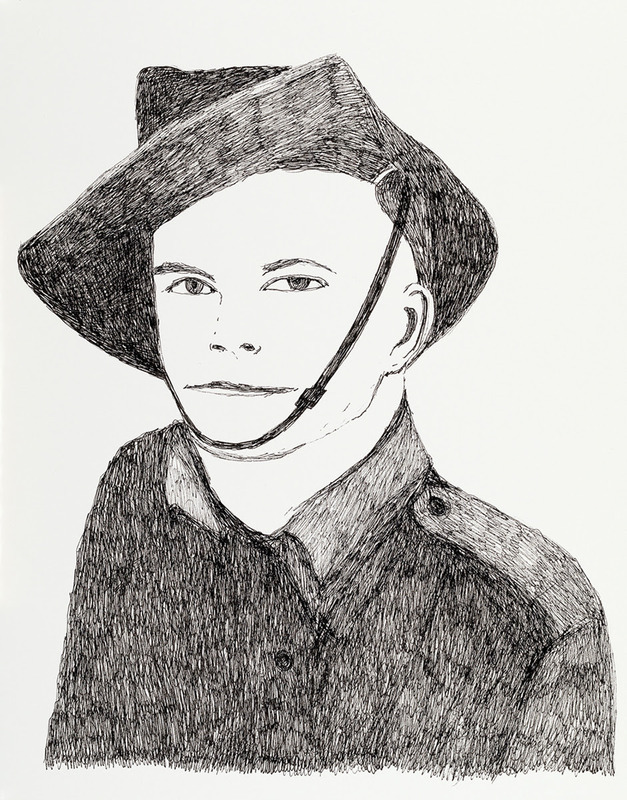 Informed by his own recent experience of walking the Kokoda Track in Papua New Guinea, the exhibition references the war-time propaganda sold to Australian Soldiers who embarked for New Guinea during the Second World War with a romanticised image of the deadly situation and extreme conditions they were to face. Structured around the seven days taken to complete the journey, the exhibition includes seven portraits of each of the local guides who assisted Richard and his team on the trek; two large five-meter paintings, one representing a different aspect of the landscape on each day of the journey, the other responding to the history of the war; and a series of thirty-one drawings also responding to the history of the war. The project draws together both contemporary and historical accounts of the Kokoda Track in order to understand its ongoing relevance and provenance. 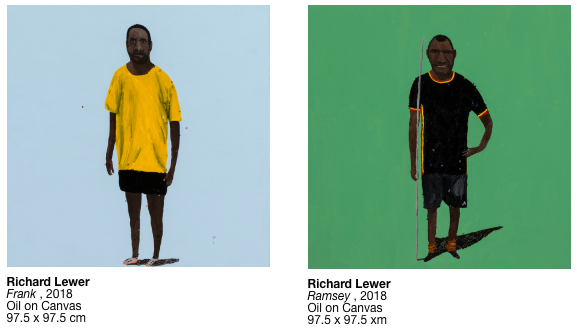 Utilising a broad range of media, including printmaking, video and animation, painting, and drawing Richard Lewer’s work is both accessible and familiar, with a critical edge that probes what is beautiful and sinister about our society without injecting a moralising tone or political message. 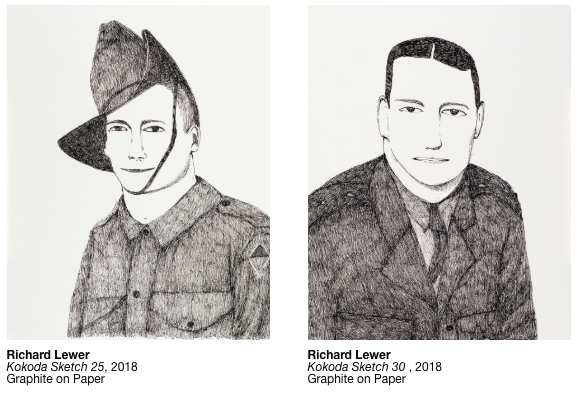 Less concerned with factual storytelling, Lewer’s work employs tropes of endurance, physicality and failure to explore the way that places can become repositories for the psychic residue of painful or extreme events. As part of this, Lewer is interested in experimenting with notions of the artist as commentator or interpreter, which often involves documenting both familiar and unfamiliar places or historical events; a key component of which is exploring the relationship between studio activity and life outside the studio. In this way he is often creatively motivated by a personal response to an active engagement with a subject through both research and participation. In 2018, this aspect of his practice lead Lewer to undertake the Kokoda Track.